It also includes AA Bronson, Adam Knight, Alice Evans, ARTSCHOOL/UK, Cedric Price, Fritz Haeg, Hans Ulrich Obrist, Ivan Illich, Matthew Stadler, Oliver Klimpel, Paulo Freire, Pavel Büchler, Publication, Richard Wentworth, Roy Ascott, Ruth Höflich, Verina Gfader and Michael Craig-Martin, and others. Its related to Prospectus 2012, a practice-based research project into radical art education that I was involved in, which itself began as Exhibition Experiments. 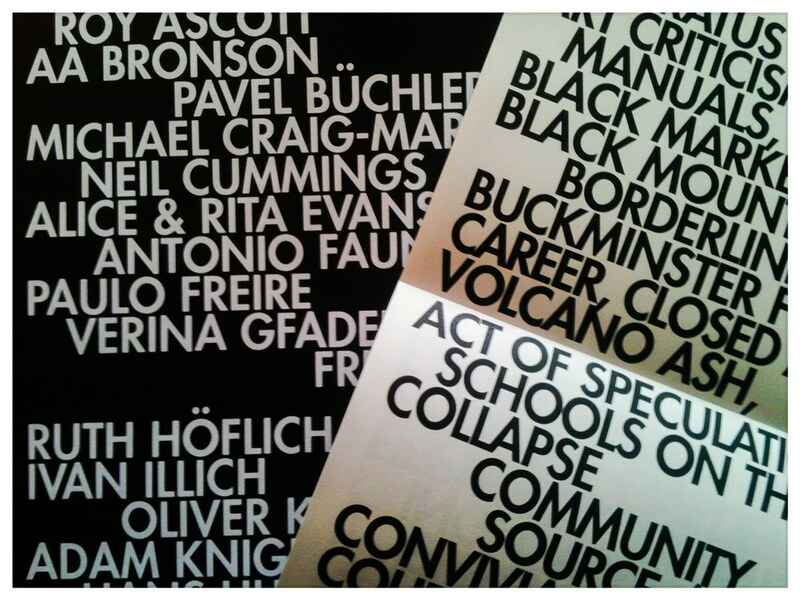 PROSPECTUS was launched at Printed Matter's LA Art Book Fair, 2014, at The Geffen Contemporary at MOCA.